Simon & Schuster Books for Young Readers, 9781481496773, 48pp. 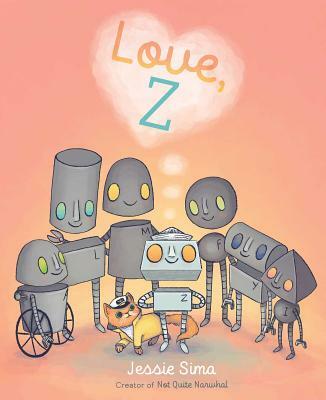 When a small robot named Z discovers a message in a bottle signed “Love, Beatrice,” they decide to find out what “love” means. Unable to get an answer from the other robots, they leave to embark on an adventure that will lead them to Beatrice—and back home again, where love was hiding all along.